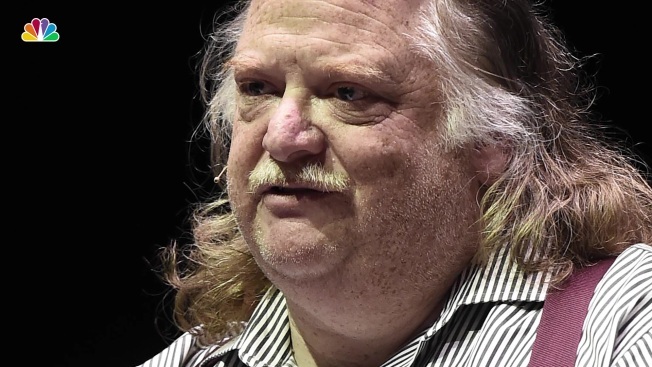 Jonathan Gold, who became the first restaurant critic to win the Pulitzer Prize for criticism, has died. He was 57. The Los Angeles Times, where Gold most recently worked, reported that he died Saturday after being diagnosed earlier this month with pancreatic cancer. "I can't imagine the city without him. It just feels wrong. I feel like we won't have our guide, we won't have the soul," said Laura Gabbert, who directed "City of Gold," a 2015 documentary about the critic. "It's such a loss. I can't wrap my head around it still." Gold's reviews first appeared in L.A. Weekly and later in The Times and Gourmet. He was awarded the Pulitzer Prize in 2007 while at L.A. Weekly. He was a finalist again in 2011. The Times noted Gold's reviews, appearing in his column called Counter Intelligence, focused on "hole-in-the-wall joints, street food, mom-and-pop shops and ethnic restaurants," which he preferred to call traditional restaurants. Known as J. Gold, he had a distinctive style, wearing suspenders, a slightly rumpled button-down shirt, moustache and mop of feathery strawberry blond hair. Ruth Reichl, who edited Gold at The Times and at Gourmet, called him a trailblazer. "Jonathan understood that food could be a power for bringing a community together, for understanding other people," she told the newspaper. "In the early '80s, no one else was there. He was a trailblazer and he really did change the way that we all write about food." Gold also won numerous James Beard Foundation journalism awards during this career. In May, he received the Craig Claiborne Distinguished Restaurant Review Award. His reviews were compiled into a book, "Counter Intelligence: Where to Eat in the Real Los Angeles," in 2000.